This may be true in some places, but, if true in my neck of the woods, certainly a rarity. The benchmark against which parishes are asked to make a “generous offer” to diocesan funds is the cost of ministry. Most are aware that 80% of diocesan income is from the parish offer, and slightly more than 80% of diocesan expenditure goes on the cost of ministry. Many congregations struggle to avoid their sense of mission being dominated by the hope that increased numbers will help meet the financial needs, and widen the pool of possibles for vital roles of church warden, treasurer, and church council secretary, along with the many other things people do to care for the church building (often now too large, and not well-shaped for current needs, but listed by Historic England, and hedged around with legally binding Faculty rules) and help sustain it as a place of worship. Christian Folk is a Roman Catholic movement that is a compromise between Worship Songs Movement (Kendrick et al) and Modern Hymnwriters (Wren, Pratt Green, Carter, Bell et al). Of course, I wasn't implying that everything's hunky-dory for CofE congregations, but the truth is that Nonconformists generally have a higher rate of church decline and closure. This is relevant to the thread, because declining congregations do find it harder to give off welcoming, positive vibes. Clutching desperately at a newcomer isn't appealing, but neither is an inward-looking cliqueishness, as others have said. But declining churches may also suffer from a lack of money and manpower to create a welcoming environment, or to develop their worshipping or general church life. Modern people are used to public spaces being of a relatively high standard. Shabby chapels with mismatched armchairs, peeling paint in drab colours, and cracked tiles in the toilets, etc., don't fit the bill (unless they can pull off some kind of 'shabby chic' look). IME its not just shabby furnishings but general clutter. As a travelling organist I've seen some churches where it was just chaos: every corner filled with stuff, nothing put away neatly, the whole place giving off an air of being uncared-for and unloved. And if you walk into a place with the intention of finding out if its a bunch of people/organisation you might want to join, an impression that no one there cares enough to even take out the rubbish isn't attractive. I absolutely agree. Problem is, the folk who are used to it simply don't see the problem. IMO, one of the reasons the "new" churches succeed is that they give a "modern" impression, in music, furnishings, language, use of technology, filter coffee machine (I made that last one up, but I bet some have one). Some folk on these boards may rightly say that "old" does not necessarily equal "bad", nor that "modern" must be "good" - but it's still a telling point as far as visitors are concerned. First impressions count. Of course great churches and cathedrals can make a point of the ancientness and beauty - but even they need to be clean and tidy. (Some of course marry wondeerful medieval buildings to excellent modern facilities). Sadly many churches are just scruffy and messy. I can't speak for CofE churches, but you'd be surprised at some of the junk you can find in a Nonconformist pulpit. And don't even think about disused galleries! b. Different items were given in memory of (e.g.) Mrs. Jones' grandfather in 1932 and People Might Be Upset if it was thrown out (never mind that it is decrepit, obsolete, worm-ridden and useless, and that Mrs. Jones herself died in 1984). Just as commonly, no-one feels they have the authority to actually make the decision so it just gets left. Have I told the story of when I was helping a baptist minister doing a clear-out many years ago and found a pair of waders in a cupboard? It was estimated that they'd say unused for 30-40 years. Re clutter - absolutely right. Our late churchwarden had a touch of OCD (as do I - only with me it's CDO, where the letters are in the correct alphabetical order). So, Our Place is always neat and tidy, which I hope does indeed convey the idea that we care about it. Did they also have a set of those white baptismal gowns with weighted hems so that they won't float up in the water? There was a whole load of stuff, but the only thing I remember in detail was the waders. It must have been 15+ years ago. I have seen a Pentecostal pastor conduct a baptism - indoors - in a shiny wet suit with (I think) flippers! I just wear easy-to-get off street clothes. I'm an Anglo-Catholic and absolutely love a full-immersion baptism. But in my mind the trick is black clothing for the baptism, with a white gown (normally a traditional alb) to go on afterwards. A friend has just mucked out their church and found 40 copies of the Alternative Service Book composting in a cupboard. I can't remember when the C of E stopped using them! Also the stats are just out and the number of churches with a congregation of 12 or under is alarming. Once you are on the PCC of such a congregation you need to leave the area to get of it and since no-one wants to be church warden you can stay in post until you die - supposing someone notices. All this is very worrying for welcoming... and evangelism. The ASB went out of use in 2000, officially, when Common Worship was introduced. As regards congregations of 12 or under, that may, in rural areas, represent 10% or even more of the local population, so figures need to be looked at in context. Our local charevo parish, with a population of 14000, has a congregation of 300 on an average Sunday. What's that? Just over 2%? A small congregation can often be lively and outward-looking, even if most of the locals only turn up once or twice a year! Challenging re welcome and evangelism, I agree. Our Sunday congregations may be numerically small (70-75) but as a percentage of the parish population (1000) they're amazing when compared to the national average. At Christmas we can expect to get somewhere around 250 for the carol service; and on Christmas morning there'll be over 400 spread between 2 services. Well done - you must be doing something right! 70-75 is a respectable number anyway, given the size of the parish, but your Christmas numbers must lead to (or be accounted for by) some inspiring services. As a more general point (or tangent): how useful do people here think are Christmas services which are intentionally not traditional "carol services" but quite "alternative" or "reflective" and clearly advertised as such? Personally I think that some folk might find them quite attractive. Do you mean something like a Blue Christmas/Longest Night service? Those are very popular in these parts. The one at our shack is typically well-attended, and not just by the “regulars” who show up whenever the church doors are open. Possibly - I'm not familiar with the terms, I'm afraid. They're the two names I most often hear for a service on around the solstice (hence Longest Night) and designed to temper the (seemingly inescapable) “joy” of the season and acknowledge that many struggle to experience that joy through grief, loss, depression, etc. Here's one description with a link to a liturgy. There have been one or two 'Blue Christmas'-type services locally in the past, though not at Our Place. AFAIK, they were designed to cater for those for whom the unremitting 'Festive Joy' simply did not exist, for various personal reasons. AIUI, the services focussed on the Incarnation (as all Christmas services surely should, anyway), leaving out the pseudo-Dickensian tripe and commercial hype. BTW, Nick Tamen's link provides some useful background information, but the further links to actual liturgies don't seem to be available. Yeah, sorry about that. I realized the problem after I posted (and saw the Amos quote that shows up on PC(USA) broken or dead links). I’m looking around to see if I can find it elsewhere. Interesting...never heard of these. Of course, down here it would be the longest day and shortest night of the year so some adjustments may be needed [or not...I regularly here In the Bleak Midwinter in 30C+ temps here]. I find the pressures of a "perfect" Christmas with family and the expectation to be joyful get to me... A chance to escape may be welcome. I'm glad the document acknowledges that geography, demographics and class are significant. Christmas numbers (which don't include the Carol Service) are because we're the sort of area where grown-up children who have moved away come back to with their own offspring, plus this is the time of year when second-home owners come to church. Plus, we did away with the 8am said BCP and replaced it with the 11.15 said service with carols; where the old said 8 o'clock might have got 12-15 on Christmas morning, the 11.15 gets anything up to 100 - often people who don't want to do Midnight. The other thing (and I'm not being immodest, this is the opinion of the PP and the reason cited by many of our attendees) is that we have a very, very good choir. So the people coming to the said service with carols will not only get to sing 4 carols themselves but will get the choir singing appropriate things during communion - something like John Tavener's The Lamb followed by Parry's Welcome, Yule or similar. Only other factor I can think of is that the PP doesn't preach at Christmas ! I find that approach both puzzling and concerning. Surely there's benefit in some guided reflection of what people have seen and heard? After midnight? In a church full of over-excited children? At the Midnight Mass he wishes everyone a Happy, Joyous and Blessed Christmas and prays that the message of the angels of peace on earth be received and acted on by the whole world. More-or-less the same happens at the Living Nativity on Christmas morning. During the Said communion with carols he may expound briefly on that. His argument is that a congregation with so many visitors and young children will not appreciate (and is unlikely to benefit from) an elderly cleric trying to find something "fresh" to say about the incarnation. I think he's right. 1. After midnight? 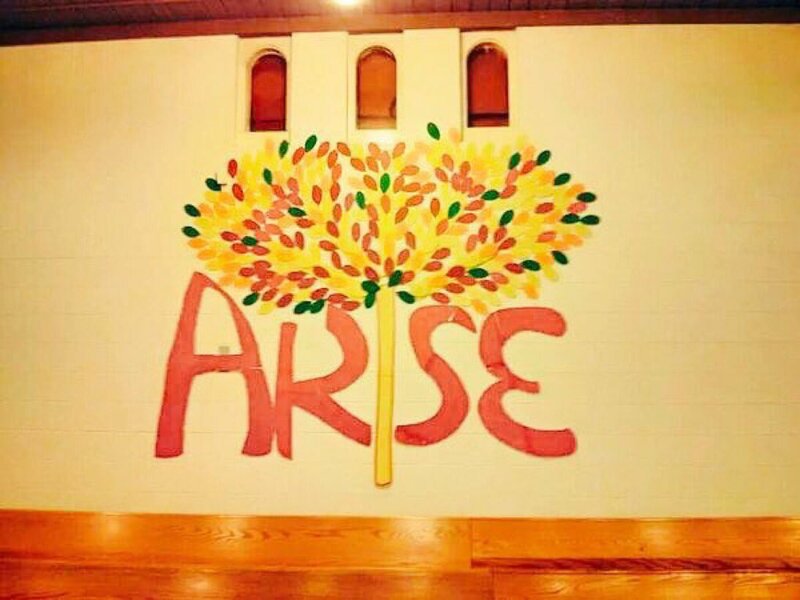 In a church full of over-excited children? At the Midnight Mass he wishes everyone a Happy, Joyous and Blessed Christmas and prays that the message of the angels of peace on earth be received and acted on by the whole world. More-or-less the same happens at the Living Nativity on Christmas morning. 2. His argument is that a congregation with so many visitors and young children will not appreciate (and is unlikely to benefit from) an elderly cleric trying to find something "fresh" to say about the incarnation. I think he's right. I've heard close to 60 Christmas sermons in my lifetime. I can remember three of them -- all because they were so very bad. If Isaiah and Luke can't get across the meaning of the Incarnation, I doubt that a sermon would help. Indeed, and I think L'organist's 'elderly cleric' probably has the right idea for his context. But, if a sermon is required, then 5 minutes' maximum, please. I too find it 'puzzling and concerning' for there to be no 'sermon' (by which I mean a few thoughts to draw it all together and make people think) at Christmas services which are likely to be attended by large numbers who don't normally come to church. It seems a wasted opportunity to give a little flavour of the sort of reflection/challenge/whatever that people who attend the church more frequently would be exposed to. And it seems more authentic to include something that has been prepared for THIS congregation in THIS church at THIS time, rather than just a set of lessons and Carols that could be the same the world over, year after year. This was brought home to me at last week's choir practice when our musical director was discussing plans for this years Carol service - he said this year we wouldn't have to have the 'extra bits' that our former minister (who is probably reading this!) used to include. Initially I couldn't think what he meant, but I was saddened when I realised he meant the Ministers words. For I know for a fact that my partner's teenage son who had been there one year, was so impressed with what was said, that it began to change his whole perception of what church was all about. Now it takes a skillful preacher to achieve that in a few minutes, but if there is one so gifted in the church I do believe it would be wrong to waste the opportunity to let them speak! A Sermon at a Nine Lessons and Carols??? You have got to be kidding. People come to hear "live" at least a flavour of what they hear from King's Cambridge, as devised by Milner-White: congregational carols, choir carols, 9 Lessons, plus bidding prayer, other prayers and blessing. NO sermon. And at our place, where so many people are standing for a service that takes just over an hour and where, even to get a "good" place to stand they may have had to be there 15-20 minutes before the start, it is asking a lot to expect people to stand stock-still for any longer. Yes there is a solution - a bigger church - but we're stuck with what our 12/13th century forebears gave us. I agree - a sermon at a full-blown Carols & Lessons service might not really be necessary, though I can see the case for a very short (2-5 minutes' maximum) word at Midnight Mass/Christmas morning service, if the priest feels s/he can be as concise as that! Different churches = different contexts = different expectations = different solutions. Ah, I think i must have misread your post. not at nine lessons and carols, no. but otherwise, yes. I have to say that I always feel a bit flat if the Christmas morning service is a half-hearted, cut short version of the Sunday service rather than a full-throated festival celebration of the incarnation. I've sort-of resigned myself to it here knowing the it's only recently that Presbyterians started celebrating Christmas at all, but I'm surprised to hear folk advising cutting services and sermons short on the second greatest festival of the year in more liturgical-calendar inclined parts of the ecclesiastical world. We find that the Midnight Mass (full-on 'bells and smells', three Scared Monsters, Blessing of the Crib etc.) has a different feel to the more family-oriented Christmas morning service (simple ritchool - still with smoke, of course - procession of kidz etc. to the Crib for prayers). I once attended a Christmas Day service that was more or less geared for non-young families -- seniors, singletons, couples without kids, random walk-ins...it was lowkey but not half-hearted, and was a nice service on a day when, at least in the US, people are tossing their Christmas trees to the curb by noon. To be very unpopular, I would say something at a 9 Lessons and Carols. What's 2 -5 mins in that lot? Otherwise people go away having had just a nice time. By the way, I listen each year to the King's broadcast having attended it in person in 1975. I still think that there's something missing! So the point of adding a sermon is to make sure that they don't have a good time? I've certainly heard many sermons that have ruined an otherwise perfectly good service. Well maybe. Though (despite my comments on a other thread) sometimes I think a biblical passage almost - only almost of course - like the Johannine Prologue has a fair bit of meaning without, you, know, added drivel. So the point of adding a sermon is to make sure that they don't have a good time? Of course not. But "having a nice time" isn't the only - or even the main - thing that a Carol Service should be about. It has often struck me that many clergy are wary of preaching anything remotely "theological" at Christmas. IMO this has "dumbed down" Christmas and given in to the "it's a nice time for the family" (or whatever) ethos that is so prevalent. Yet the Incarnation is HUGELY theological and deserves the best that our enquiring minds can give it - though not necessarily at midnight on Christmas Eve! Hmm. My experience of welcome at an AffCaff Church in the west of England where I mentioned at after Mass coffee that I was a seeker and from a RC background, was an outbreak of shiftiness and shoe-gazing. On a different occasion in Ireland this was echoed by a casual conversation with an elderly CofI congregation member where they switched from being friendly, to stating to me that ‘each denomination should stick to their own’. Following those experiences, when the time comes for me to leave my caring duty in Ireland permanently I’ll stick to Cathedral worship until I can find a congregation where I won’t stick out like a sore thumb, or embarrass its existing RC outreach. On a different occasion in Ireland this was echoed by a casual conversation with an elderly CofI congregation member where they switched from being friendly, to stating to me that ‘each denomination should stick to their own’. How strange. Both instances. I'm sorry to read of this. At the CoI church I worshipped at for almost 6 months, they had a Catholic nun stay in from the start until the Communion "part" of the service. I heard no comments on it. Hopefully yours was a once, or twice, off. Never heard such a comment before. who likes to be left alone at the beginning of services but is usually happy to engage afterwards. In fairness, it was an unusual occurance. But it has made me wary. The Irish congregant's attitude would have been very common across the board in the 1970s. For a long time (as in, many centuries) religion and moving between churches was a sensitive topic and there is a line in popular culture about souperism during the Famine. But I think it is rapidly disappearing, and you might just have hit one of the last remnants.